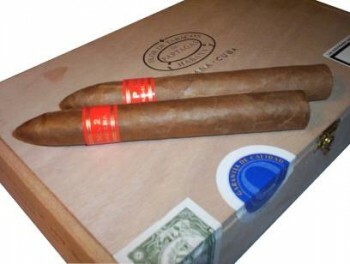 Partagas Series P No. 2 | Old Morris Tobacconist Victoria BC, Fine Cigars, Humidores and Tobacco Merchantile. Hand-crafted in the 52 ring-gauge 'torpedo' shape, the Series P No 2 is an expert blend of the finest Vuelta Abajo tobacco. The very strong taste, thick smoke and slow, balanced burn have earned this slick missile the seal of approval from cigar aficionados around the world.